I knew some people will bring up Scientology. Yes, Scientology is pretty much flat out science fiction. The original creator Ron L Hubbard himself admitted it was just a scifi cult. There are various interviews you can find which he admits it. However, Jehovah Witnesses shares a similarity with the Scientology, they have multiple levels of membership, primarily the "public phase" and the "inner sanctum." Have you ever looked at a Jehovah Witnesses' place of worship? Usually it doesn't have big windows, typically color glass windows that are small. The reason is because during their inner sanctum worship, it is very secretive. Anyhow, you don't have to take my word for it. There are more and more articles and interviews from exmembers revealing what really goes on in there. 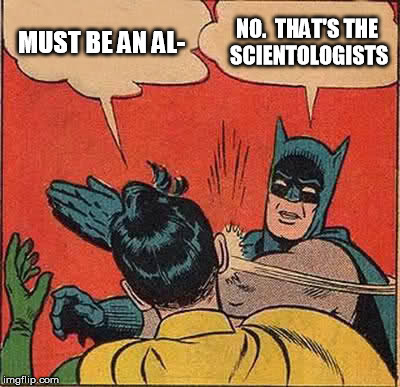 Scientology is flat out sci-fi with Xenu and the galactic empire whatever. What JW people believe is more along the line of Prometheus, the movie not the mythology. 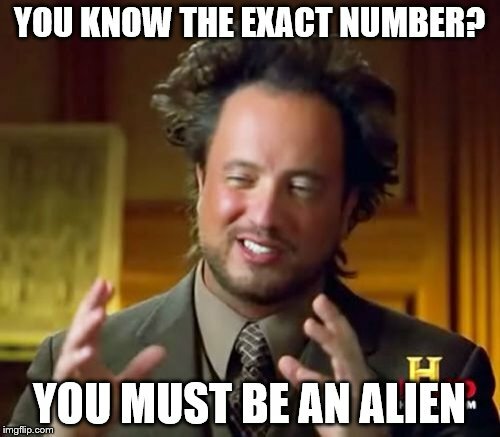 They believe there are many alien races out there created by the sole "creator" who himself is the most powerful of all aliens. They believe Jesus Christ is a hybrid alien and human and that one day he will return on his galactic spaceship to take the "faithful" back to Eden, the home planet. 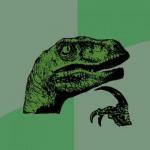 Jehovah's Witnesses actually don't believe in aliens or anything like that. But hey, I'd say we need more religions based on sci-fi. Well, you won't find it on their webpage that's for sure and even majority of their members do not know this b/c it is sacred held only in the inner sanctum of deep believers. I'm not sh**ing you. "The Constellation of the seven stars forming the Pleiades appears to be the crowning centre around which the known system of the planets revolve even as our suns planet obey the sun and travel in their respective orbits. It has been suggested, and with much weight, that one of the stars of that group is the dwellingplace of Jehovah and the place of the highest heavens; that is the place to which the inspired writer referred to when he said: "Hear thou from thy dwellingplace, even from heaven" (2 Chronicles6:21) ; and that it is the place to which Job referred when under inspiration he wrote: "Canst thou blind the sweet influences of Pleiades, or loose the bands of Orion" – Job 38:31"
The constellation of the Pleiades is a small one compared with others which scientific instruments disclose to the wondering eyes of man. But the greatness in size of other stars or planets is small when compared to the Pleiades in importance, because the Pleiades is the place of the eternal throne of God. J. F. Rutherford, Reconciliation, 1928, p. 14. "The Pyramid was viewed as "God's Stone Witness" that pointed to the Pleiades as the place were God lived." I've met JW members who didn't even know these are what their founders believed in and is the core of their belief. Public Phase and Inner Sanctum. I was involved in it for about 3 years. It's just a really strict sect of Christianity. The biggest difference is probably that they believe most people will live on a paradise earth instead of heaven. Nothing about aliens and spaceships though unfortunately (although the Bible speaks of aliens and spaceships IMO). "The meek shall inherit the EARTH and they shall find exquisite delight in the abundance of Peace," , They do believe in spirits both good and evil not of this earth. You're probably not a theist, and that's okay. 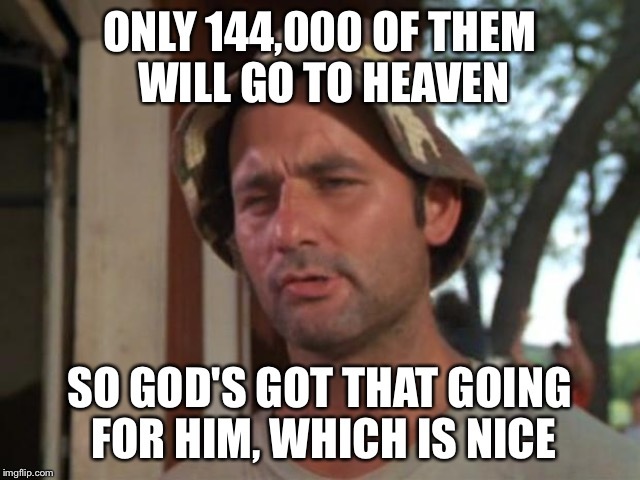 But the Bible gives God's name as Yahweh. And the Messiah as Yehoshua. Your comment made me snort and grin. Hopefully I just got you back. Have you read what the Bible says about salvation? And repenting? If you have, would you consider Jehovah's Witnesses attempting to follow those rules? If you have not, would you like me to look them up for you? Yes I have. Do you have examples of how Jehovah's Witnesses do not "believe on the Lord Jesus Christ"? As with all Christian sects, they have a different understanding of the nature of God. 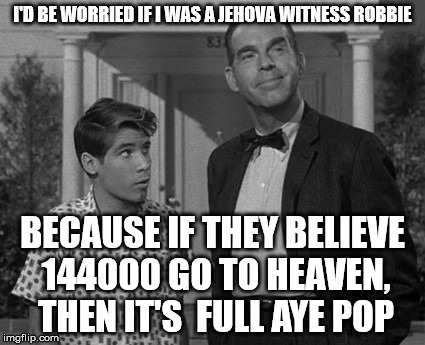 JWs believe that Jehovah is God and that Jesus Christ is his son and our savior. 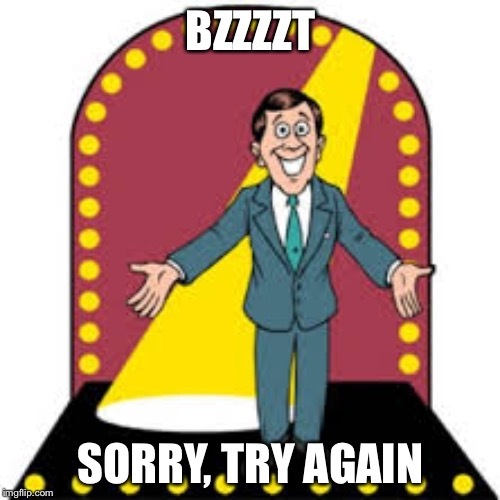 So, yes, it's possible for someone to be a JW and "saved". That's not what I've ever heard from a JW. What do they believe about Jesus? I just know they believe he's the savior but he's not the same person as Jehovah in the Bible like the rest of Christianity. But who do you think Jehovah is? For one thing, Jehovah is Yahweh mistranslated, at least that's my understanding. Jesus and God are One. Jesus claimed it, and if Jesus lied, then our faith is in vain. Who is Jehovah - and where does this concept of him come from? I believe Jehovah or Yahweh both refer to Jesus Christ. It is a term that was used when referring to the pre-mortal Christ. The concept of Christ, God the Father and the Holy Ghost being one (the same person) came from the Nicene Creed and Constantinople councils, where men declared that instead of three separate beings, the Godhead was three persons in one God, or the Trinity. So if you believe that God and Jesus Christ are the same person then you shouldn't have a problem with the JW belief that Jehovah is God and Christ is God's son. At least I think they believe they are distinct beings but "one" in purpose. Lol its aliens transforming themselves into humans so we wouldn't get so scared at their true identities! Just a thought with a couple of beers haha! "Depart from me; I never knew you." Or in today's language: "Get out my face! I don't KNOW YOU!" I'm gonna sip my tea and patiently wait for replies. 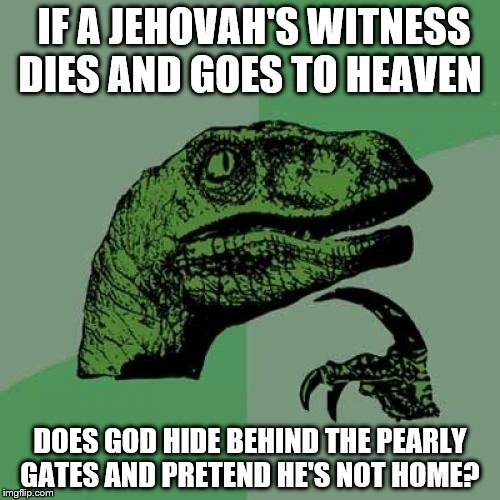 IF A JEHOVAH'S WITNESS DIES AND GOES TO HEAVEN; DOES GOD HIDE BEHIND THE PEARLY GATES AND PRETEND HE'S NOT HOME?